WHAT IT LACKS IN FEATURES IT MAKES UP FOR IN PERFORMANCE. CAR ENTHUSIASTS WILL tell you that when a top-of-the-line sports car is stripped down of its leather seats, aircon and other luxury features to become a slightly-faster racer, the manufacturer counterintuitively charges more for it despite you getting less. D-Link’s Viper has that feel about it. On the one hand, it’s a old-school router, with basic firmware and few of the flashy advanced features that we’ve seen elsewhere. On the other, the technology within has been amped in an effort to significantly-boost performance. One of the headline features is D-Link’s beamforming technology which uses a single network to dynamically switch devices between the 2.4GHz and 5GHz bands. This ensures that range and QoS are optimised and that devices utilising high-performance applications (such as online games and 4K video) aren’t delayed by lesser devices on the network. MU-MIMO technology is cited but we’ve never registered any real-world benefits from it. More important is the dual-core processor which, theoretically should be a high-performance enabler. This all works using AC2600 speeds spread across four data streams. However, years of testing Wi-Fi has made us sceptical about such claims so we ran torture tests to see how they stacked up. The first was a basic range test. We used our 115/5 Telstra cable internet connection on the ground floor of a Sydney townhouse and ran Ookla’s Speedtest on an iPad Pro: up close, then one floor up in a bedroom and then two floors up. Up close, it maxed out no problem. One floor-up it only dropped to 89Mbps down which is double the speed of most rivals. Two floors up it was still able to score a solid 25.6Mbps – a location where most rivals struggle for any reliable connection. So far so good. But this router claims to be able to handle much more. Consequently, we set our TV watching Narcos in 4K on a wired connection. Near it, we set an old, slow Android tablet watching children’s videos on YouTube. Two floors up we watched Amazon’s The Grand Tour in HD on an iPad Pro and YouTube’s 60fps 4K Costa Rica video showreel on a top Android smartphone – all the while playing an online Steam FPS game on a PC connected through a powerline adapter while it simultaneously downloaded another game via Blizzard’s gaming app. The Viper didn’t even flinch – everything ran smoothly. Other features are modest. Physically, there’s an in-built modem with RJ-11 port that’s compatible with the NBN network. However, there’s also a WAN Ethernet port (to complement four Gigabit Ethernet ports) so that it will also work with existing modems. There’s a DLNA-compatible, front mounted USB 3 (Type-A) port for sharing media across a network plus two fiddly buttons for WPS and enabling Wi-Fi. Meanwhile, the router’s firmware is very basic. There are the usual security, filtering and forwarding features but little else. Firmware is manually updated and remote management involves network configuration instead of an app. 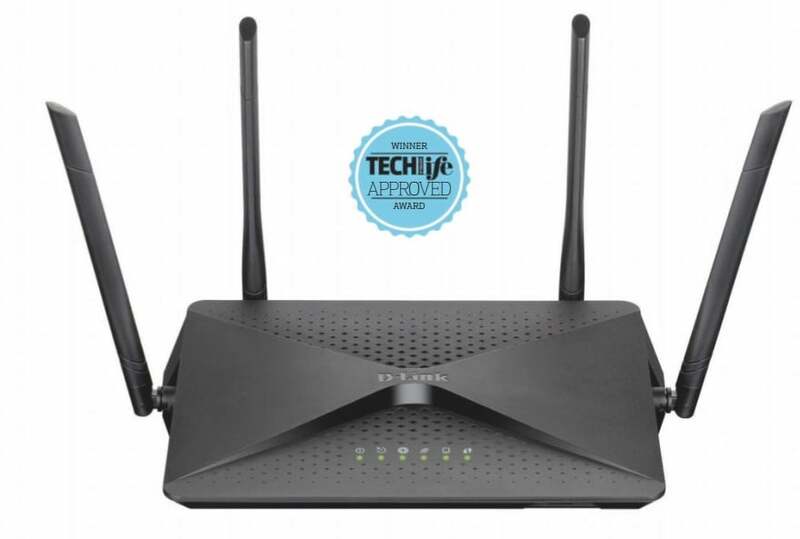 It’s not cheap, but if your requirements are performance related, this is the fastest router we’ve seen.